A few days ago, I noticed that a popular hair extensions company, HerImports, mentioned that they are now offering the option to finance your weave for those who may be short on funds. The way it will work with HerImports, a leading hair extensions brand, is a customer can pay as little as $25 down (depending on their credit approval) and have the hair extensions shipped to them, while continuing to pay monthly installments for 3 months, 6 months or 12 months- until the hair is paid off. In order to participate the customer must be approved through the payment merchant (e.g. PayPal). Unlike those hidden fees that you may pay with retail credit cards, HerImports has no hidden fees with this program. However, you will have to pay an interest fee ranging between 10%-30%, depending on your credit. You may be wondering, “What’s the point?” This program allows customers to stretch out those payments over time if they really need the hair now, but don’t have cash or funds available to pay for it. Just recently, another option that just popped up is the Weave Loan Store. They don’t sell hair extensions, but they give you a loan so that you can go buy the hair! Wow, this is definitely a new phenomenon to me! Does it sound like a foreign concept to you? Maybe it shouldn’t. People have been financing things since biblical times– from grains, to land to animals. So why should this be any different? Well, one thing to consider is that unlike a house or car, some would argue that hair extensions are not a necessity and that it may not be a good idea to finance something that you will use today but may not be able to use months later. The other side of that is weave can be VERY expensive. At HerImports, a bundle (one pack) of Brazillian hair can run anywhere from $90-$170. For a typical full sew-in installation a person usually needs two to three bundles and four if you want it very full. Simple math tells us that a person can spend between $270-$510 on the hair itself (not including taxes or shipping & handling) and then when you add in the cost of an install ($100-$300 on average) you can begin to see why some people view the hair as an investment, in which financing could be a good option. Those women may also say that their hair is a VITAL part of their self-image and that they need hair extensions to achieve the style they desire and ultimately feel good about the way they look. Now that belief is controversial in itself because you shouldn’t need weave to feel good about yourself– but let’s not go there right now. HerImports isn’t the first or only company offering this options. Check out this clip from the Good Hair documentary done by Chris Rock. 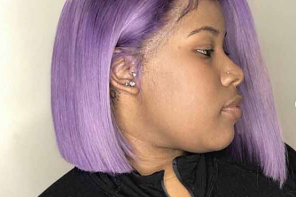 The stylist says that her wig units start at $1,000 and she offers layaway options (paying little by little) so that her clients can afford it. So what happens when people really want something that they can’t afford? They either go without, or they find a way to get it- even if that means going about it the wrong way. 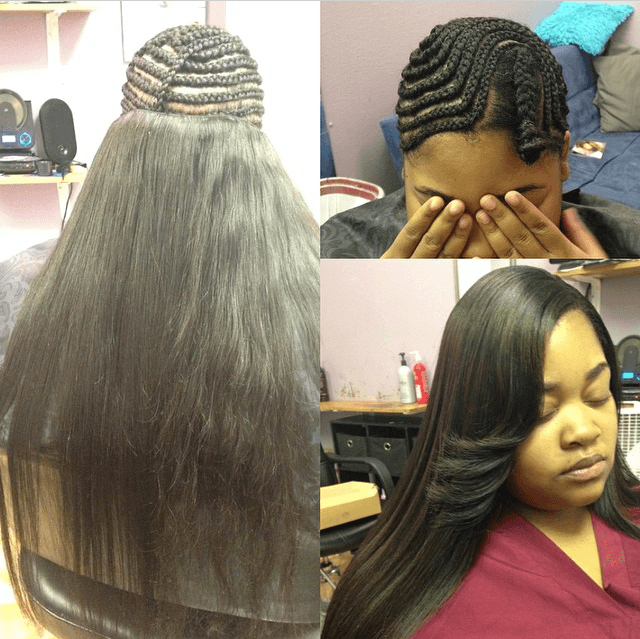 In November 2014 we saw a Detroit stylist, Ms. Bree, get ripped off by a client who was supposed to purchase the hair from Ms. Bree, and have it installed. After getting the hair installed, the woman ran out and said she needed to go get some cash, but she never returned. Ms. Bree took to social media and alerted her followers on Instagram that she was changing her payment policy, as a result. This incident went viral and was captured on local and national news and media outlets. This woman is now infamously known as the “Weave Runner,” all because she wanted weave so bad but didn’t want to (or couldn’t) pay for it. 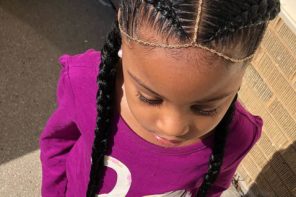 Hair Extensions (selling hair and installing them) is big business in the Black community, and can be very profitable. I do understand the need for alternative payment options. However, my concern would be paying interest on the hair (which could tack on another $80+ to your total). Additionally, I hope that companies and stylists that do allow financing will not get ripped off by people who really want the hair, but truly can’t afford it. Hopefully, people will be responsible with their purchase decision and will use financing options appropriately. We shall see. HerImports is offering this program for a limited time, probably to test it out. What are your thoughts? Would you finance your hair? Do you think women should use layaway and other payment plans to pay for weave? We want to know! The option to finance is available through HerImports as well as at the Weave Loan Store– also PayPal has this option. However, just know that you are going to pay a TON of interest. I know someone who bought hair in 2014 and they are paying for it almost a year later (and they can’t wear the hair anymore). Hmmmmm! Cheaper to keep my Natural hair, cut it, grow it just having fun with it. You Tube is definitely a big help to me. Even if they finance hair, how do they keep their payments coming in? You would think they have had a lot of people skip out on them. Can someone explain that one?